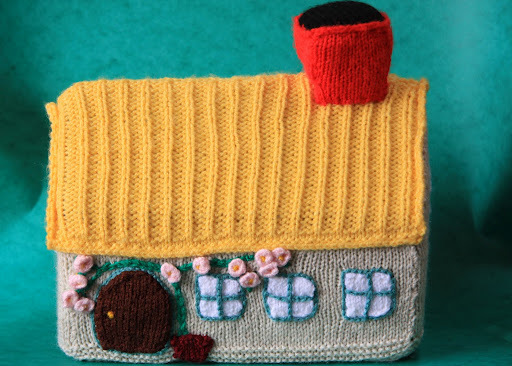 Life is full of surprises at Knit for Peace Headquarters. 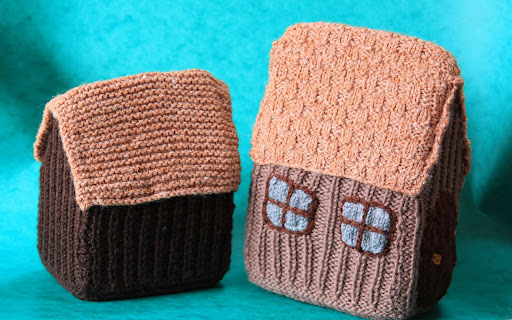 Every post can bring something woolly and interesting whether it be carefully knitted baby and children’s clothes from our dedicated groups of charity knitters or equally welcome donations of yarn and needles. However, nothing could have prepared us for the wonderful surprise we received the other day. 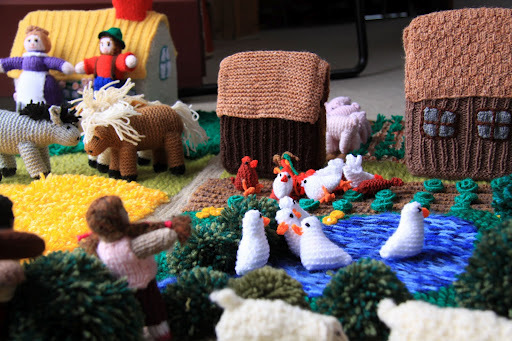 Chris Copson, one of our supporters and an extraordinarily talented knitter has made us an entire knitted farmyard! We have the farm couple plus their cat and dog. We have a small flock of sheep. A farm building with sunflowers growing against it. And a traditional farm house. Loads of chickens, complete with cockerel of course! and a small flock of ducks. The whole thing comes complete with a hooked rug which includes fields of grass and wheat, a pond and vegetable patch, bushes and flowers. The attention to detail and the standard of craftsmanship in this is extraordinary and we are extremely grateful to Chris for being so generous to use her time and skills for charity. I’m sure that it will provide hours of pleasure. We’ve certainly enjoyed setting it up and arranging the animals as well as admiring them. We have some exciting plans for this farmyard amongst other things which we will be telling you about before the end of the year so watch this space. 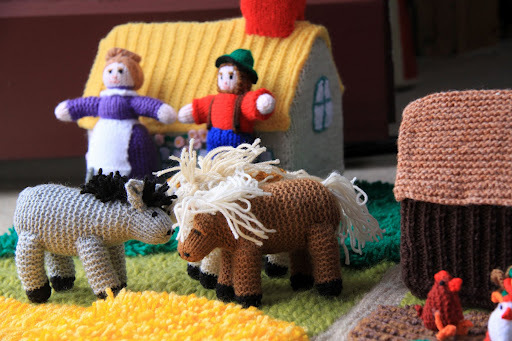 And of course, if you would like to knit a farmyard for charity it would be most enthusiastically received! Hi, I found your blog from the article, "Knitting for Peace" in Knit Today magazine. I am part of a charity knit group in the far north of Scotland. Northern Loops was founded to encourage older knitters to share their skills and thus engage and encourage young people by working on a community service project together. We have worked with Project Linus UK and international shawl ministry. Do you have any plans to come to Scotland?